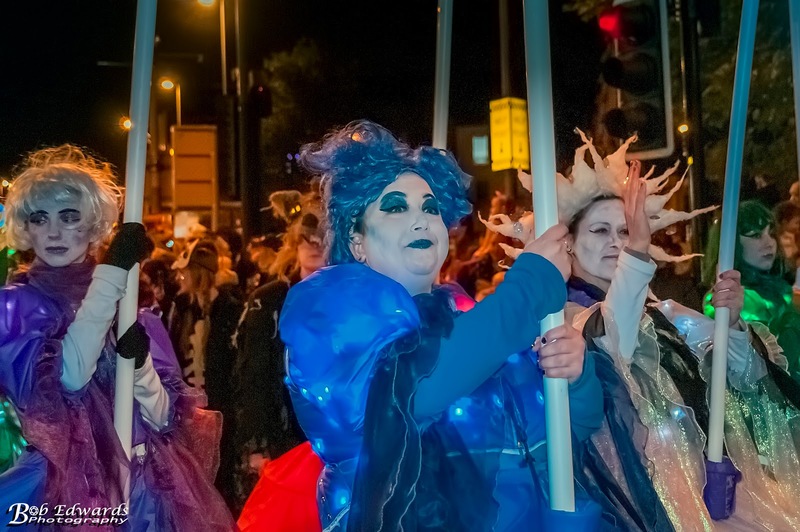 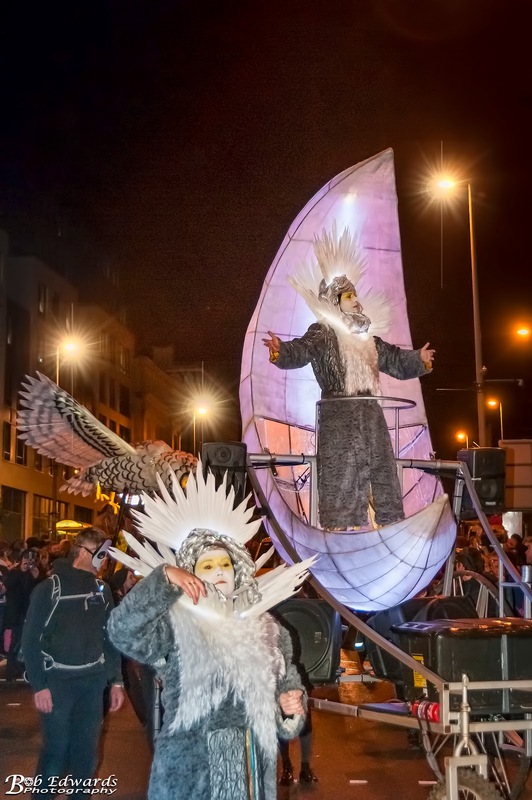 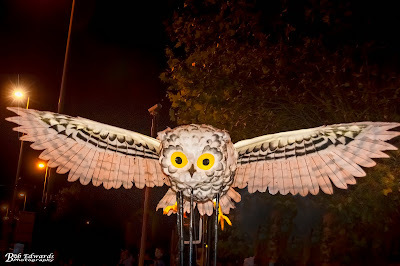 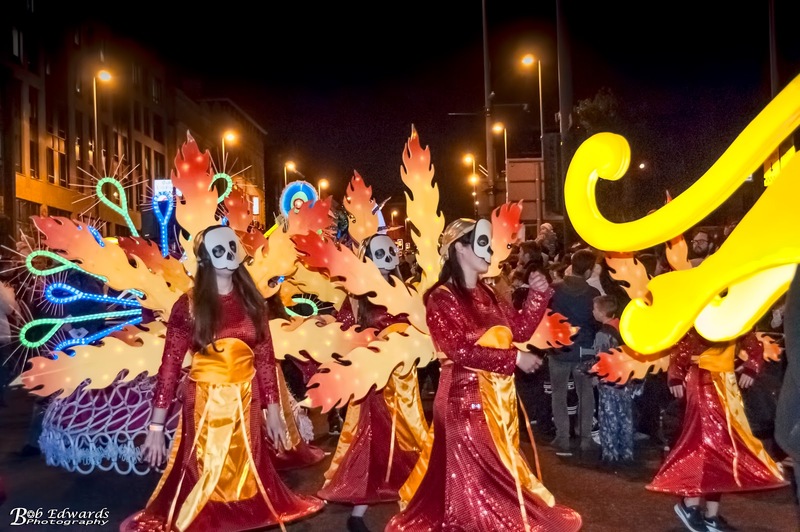 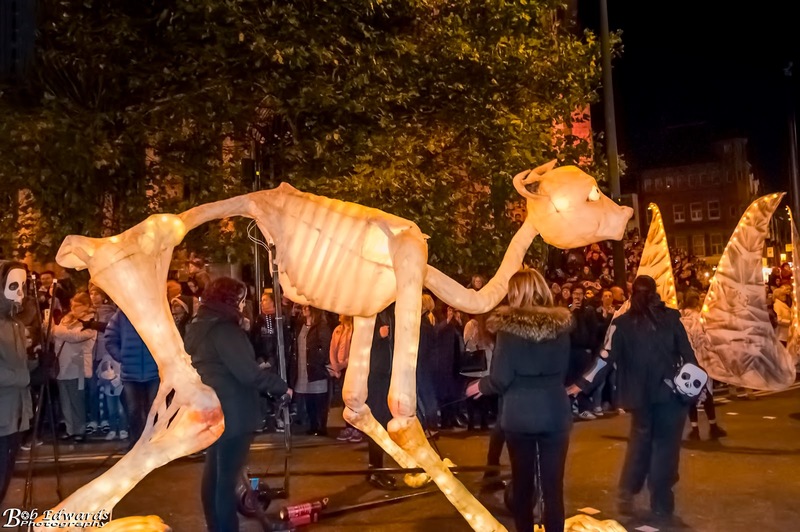 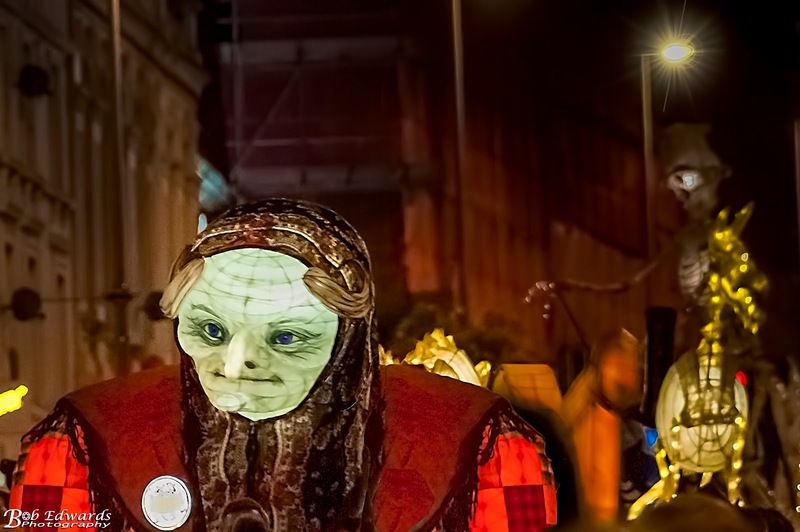 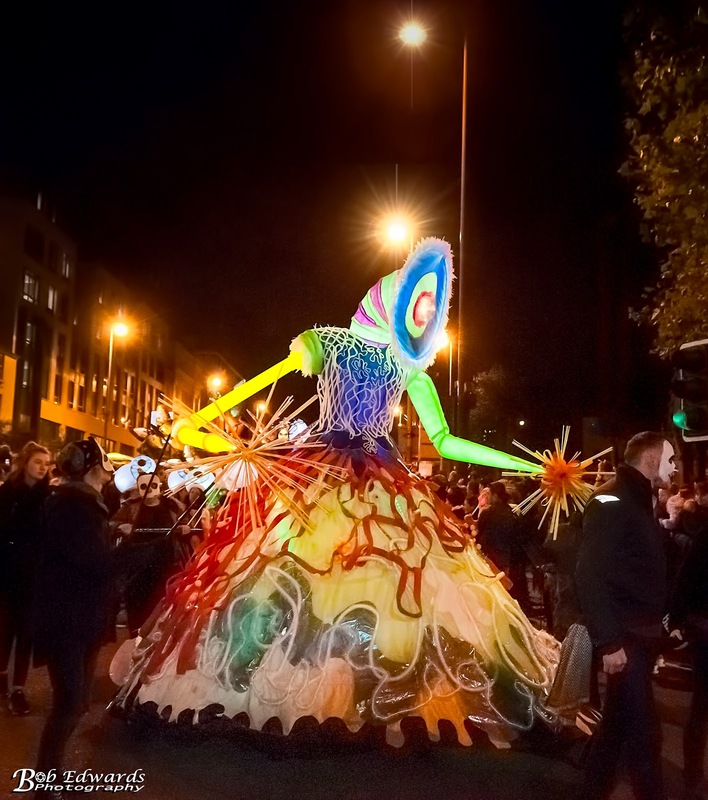 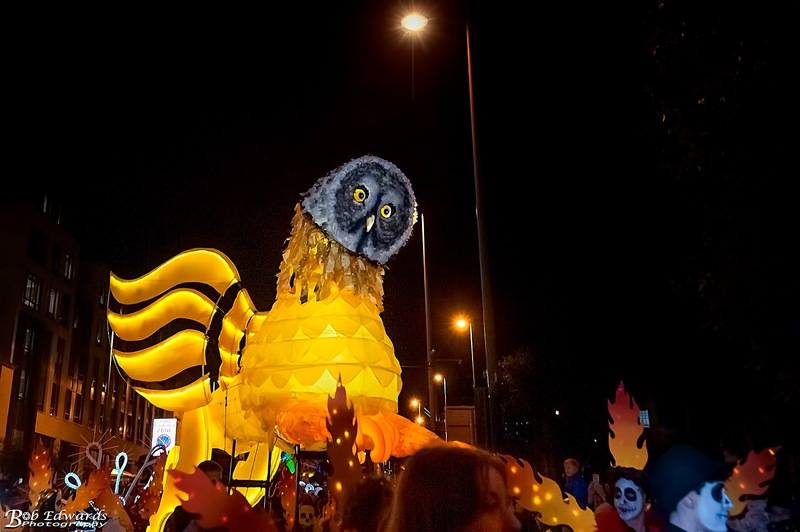 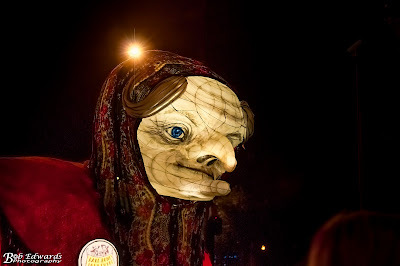 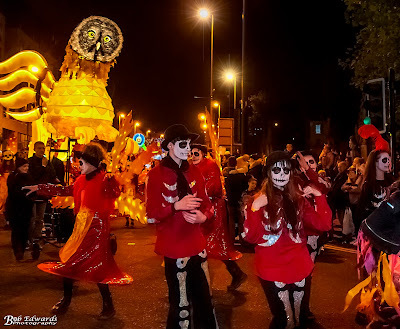 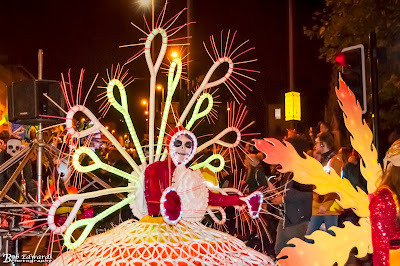 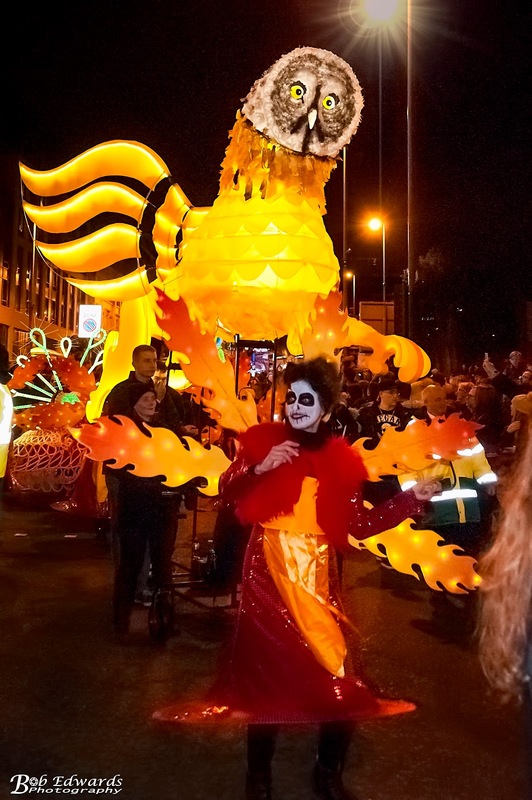 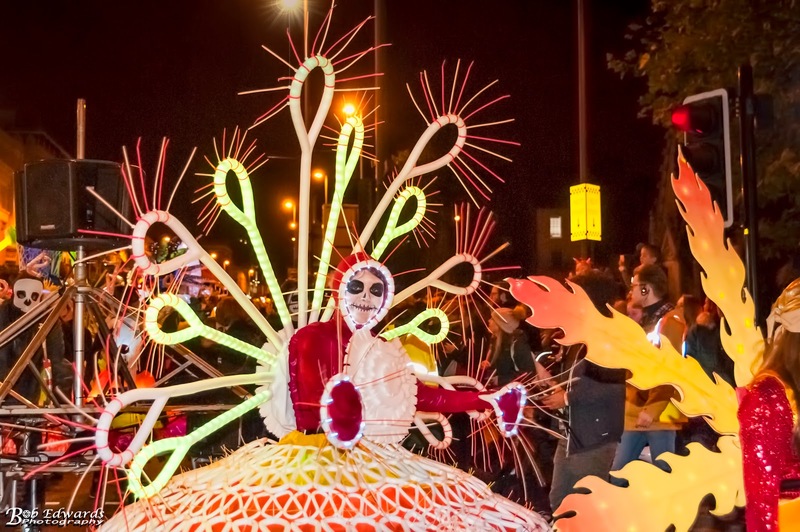 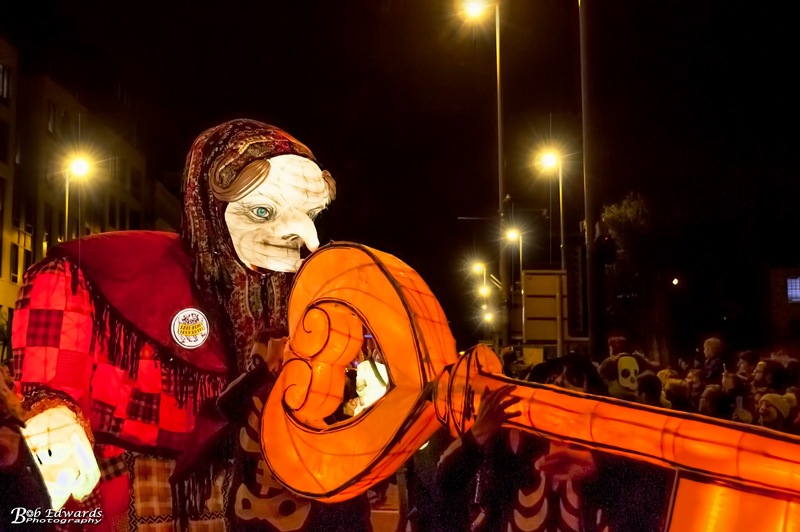 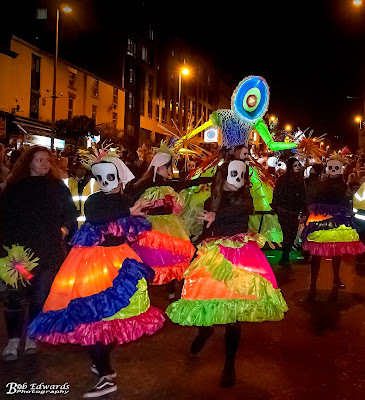 The Halloween Lantern Carnival came to Liverpool on Sunday 29th October 2017 and thousands turned out to witness the event. 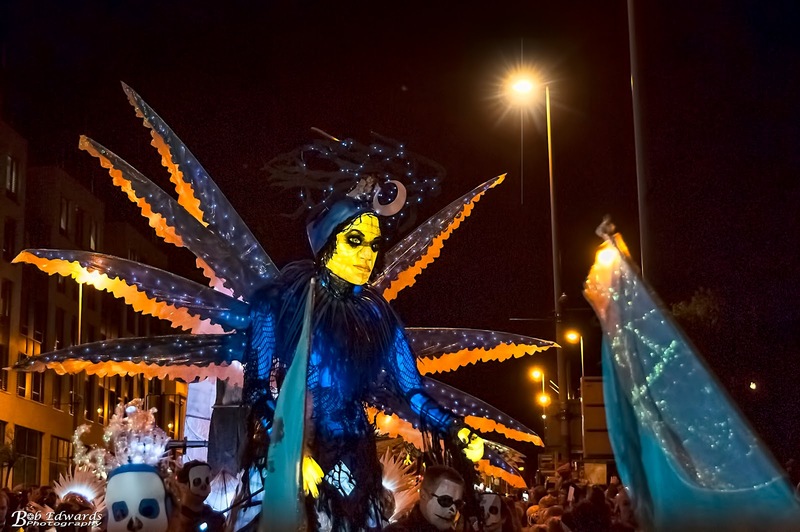 The parade set off from Pilgrim Street just after 6pm travelling along Hardman Street and Leece Street to finish at the Albert Dock at around 7.15pm. 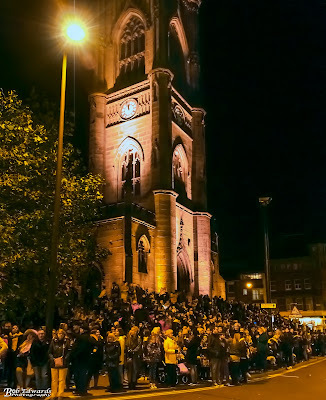 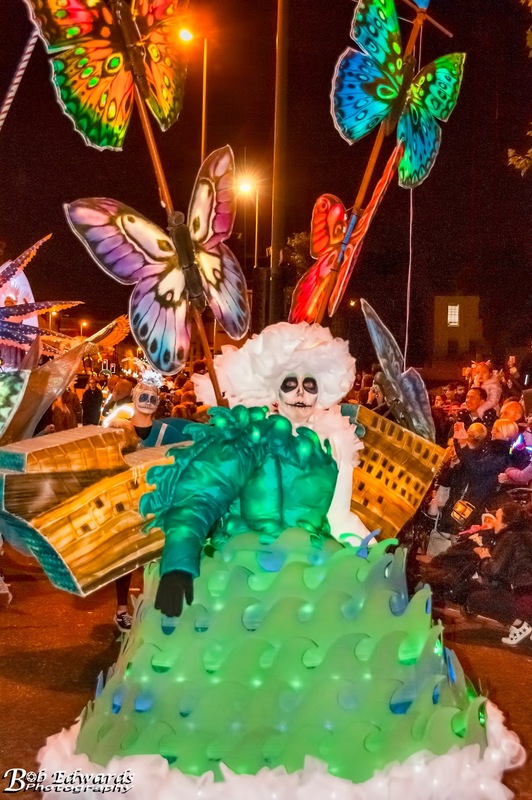 Crowds of People lined the route with hundreds gathered around St Luke's Church and Bold Street with many families dressing up and bringing their own lanterns. 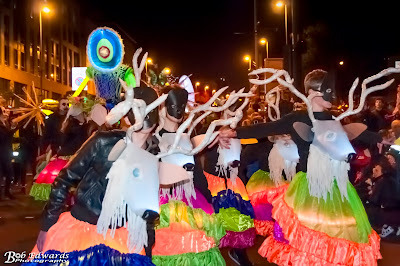 Hundreds of underworld inhabitants, dressed in the finest Halloween disguise, including illuminated giant beasts, skeletons and ghostly dancing apparitions, deathly street bands and other monstrosities crawled up through the cracks and went partying through Liverpool’s streets like there was no tomorrow. Lady Laudanum, Grande Dame of the Underworld and CEO of Bare Bones Tours plc was herself heading up the carnival parade, in an unprecedented appearance this side of the River Styx. Below are a selection of photographs from the parade.